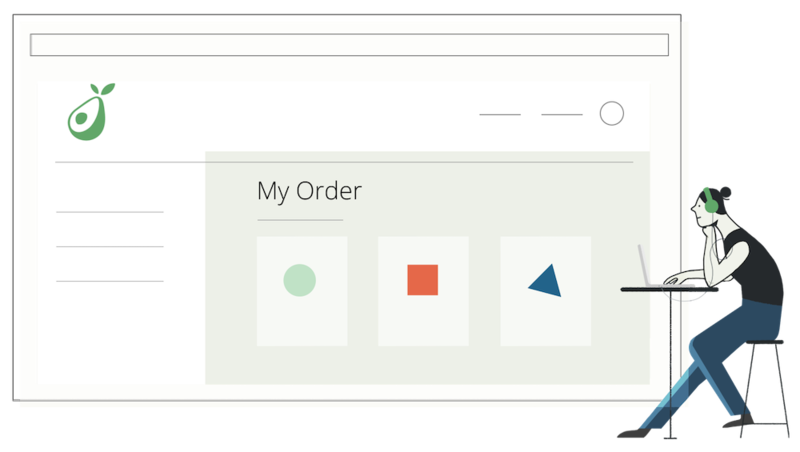 Member-tested products and home delivery eliminate the confusion, the effort and the time it takes for you to make a truly meaningful difference. We’ll keep you stocked with a member-selected and tested range of cleaning supplies, paper products and composting supplies, along with a growing range of durable goods from LED bulbs to food storage products. How we select the products we sell. Is the product, the behaviour that it enables, or its lifecycle better than the status quo? From production to disposal, how does the product compare to similar products? Do the people behind the product share our values and are they interested in continual improvement? Is the product easy to use, effective, and does it meet the expectations it sets? Living sustainably made easier than ever. 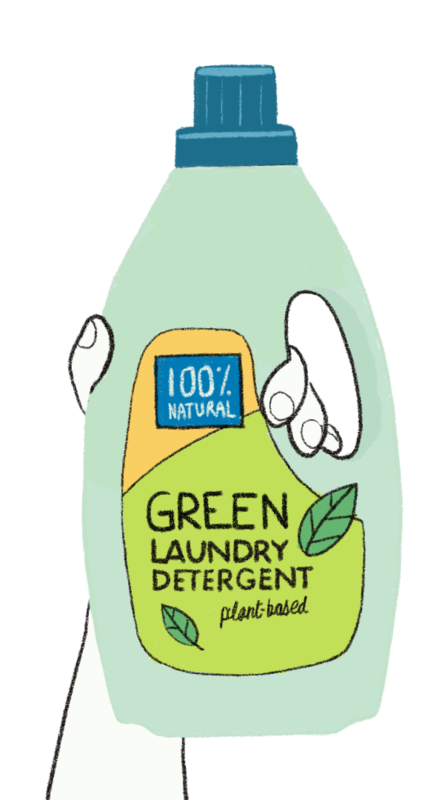 So long, corporate greenwashing. Bye-bye, eco-confusion. Hit the road, inconvenience. Avocado Co-op is here to make sustainable living a no-brainer. We are absolutely committed to sustainability, and believe small changes that are easier for more people to make ultimately have greater impact than large changes only a limited number of people are able to make. That’s why we offer one-stop shopping, convenient order pick-up — even home delivery. By making it easier for more people to live more sustainably, we will be able to grow our community and have a much bigger impact. Avocado is a retail co-operative, or co-op. Members who buy from us are our co-owners. On your 3rd order, when you buy $10 life-time membership share, you become a part owner of the co-op, with the same say in how we do things as the original founders. 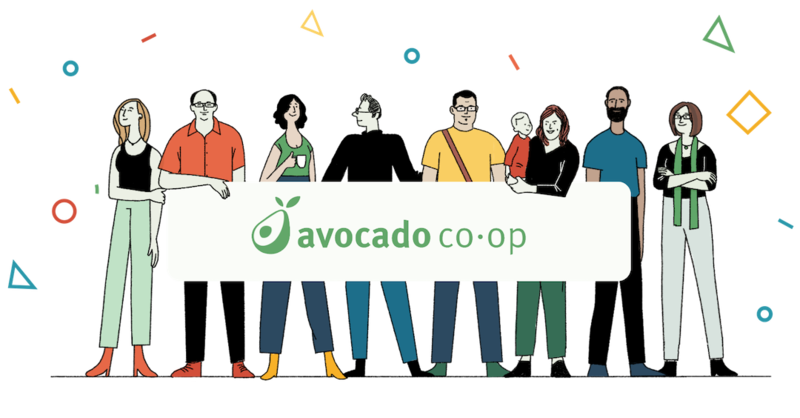 Instead of having a responsibility to make money for shareholders, Avocado Co-op's responsibility is to serve our members by making it easier for you to live more sustainably. This frees us to follow our own values and to think long-term, creatively, and sustainably. Arrived home at my co-op to pick up my order from @AvocadoCoop of green household products. Easy, efficient, eco? winwinwin! I no longer run out of anything thanks to my avocado order. Avocado makes it easy to live simply. We are fortunate to have this coop in our community! get updates about new products and promotions. As a co-op your feedback is vital to us. We will read your feedback with an open mind and do our best to incorporate it as we grow. Please understand that we cannot be all things to all people and that change does take time. 2019 The Avocado Sustainability Co-operative Inc.